I apologise in advance as I feel this may be a long one! On Saturday September 24th 2016, exactly one week ahead of my due date, I was laying in bed when I head a loud ‘pop’ come from my stomach. This unsettled me somewhat and my husband still teases me for asking him if a fetus could break it’s neck in the womb. Minutes later it became evident that this was actually my waters breaking. From 27 weeks pregnant I had been practicing hypnobirthing through classes with Calma Birthing Hypnobirthing who follow the Marie Mongan Method. 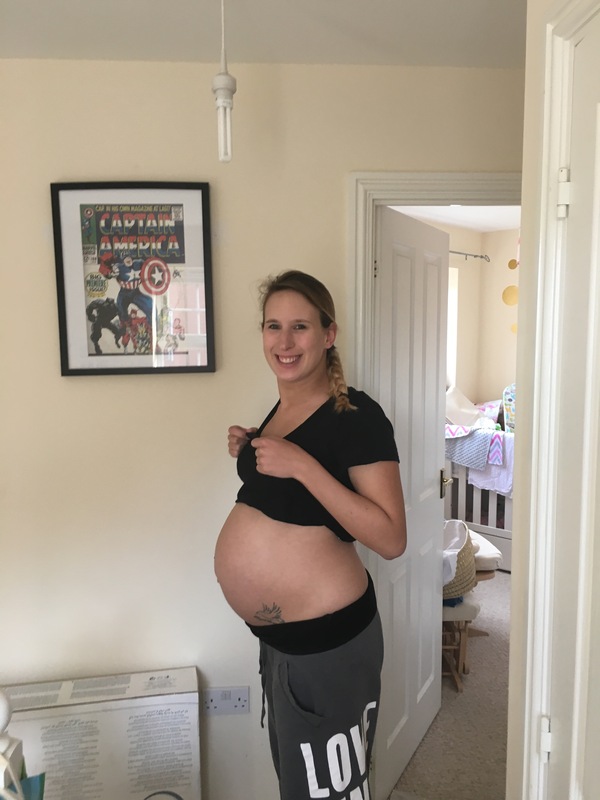 Instead of being filled with anxiety over giving birth, as I had been in the early weeks of my pregnancy, I now had total faith in my body and felt calm over what ever path my birthing would take. I called our local hospital’s birthing suite and they asked me to head in to check there was no meconium in my waters and to ensure that baby was doing fine. Listening to my hypnobirthing affirmations during the 20 minute car journey got me even more in the zone. 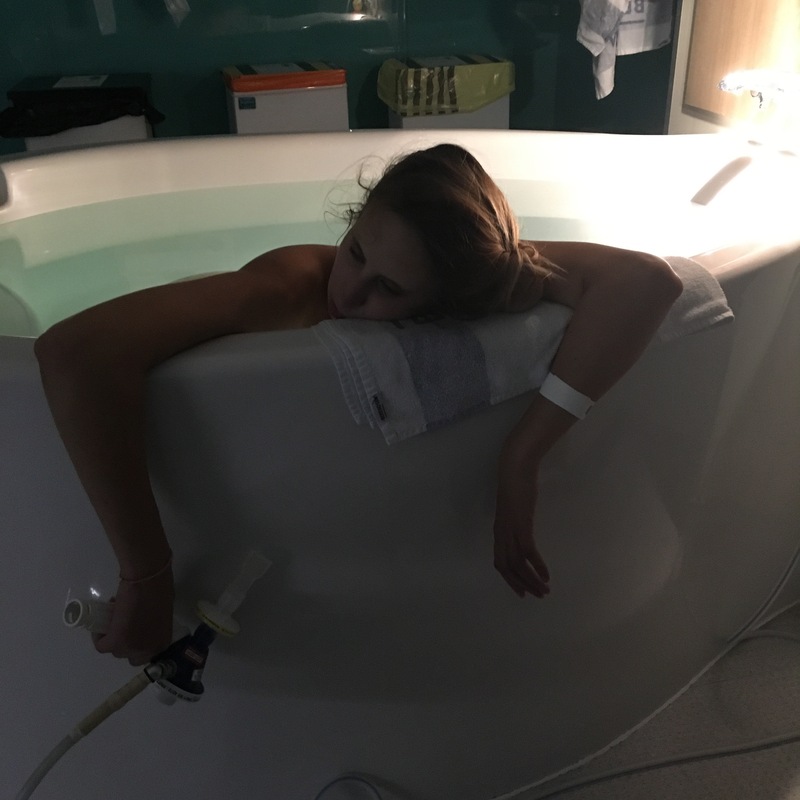 At the hospital they confirmed from basic checks (listening to the heart beat, feeling my tummy for the positioning of baby, and also looking at my pad to check the colour of my water – if your waters break doing this can help you avoid having a speculum inserted, not the most comfortable thing!) that baby was doing well. However, as I was not yet having any contractions they decided to book me in for induction at 9am the following morning. This was not something I wanted at all and it unnerved me slightly but I decided to cross that bridge if we came to it. Back home I ate lunch in bed and began to have some mild cramping. This quickly progressed into full contractions. I moved through each one and used the breathing techniques we had been taught in our classes. I also had two baths and found these really helpful. By 4pm the intensity was growing and we decided it was time to head to the hospital. Upon arrival, we were put into a side room. My contractions were coming pretty thick and fast. I began to doubt somewhat how much longer I could cope with this and expressed to the midwives that I felt I needed to have some pain relief. I struggled at this point to lay on my back for an examination as every time I did my stomach would tense and cramp. When the midwife was finally able to check, she and I were amazed to discover that I was actually fully dilated and ready to start pushing. 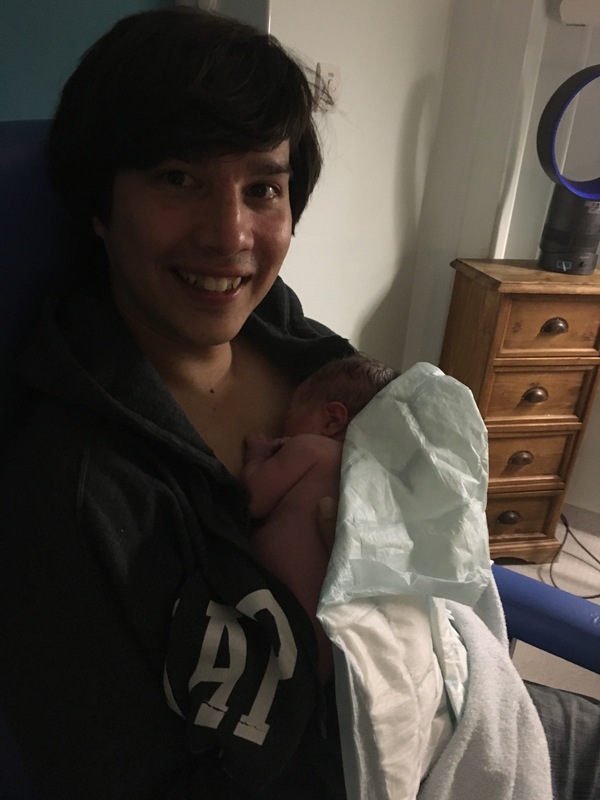 This was a real relief and it gave me a new found strength to know that what I was currently experiencing was actually the peak of my labour, some refer to this as the ‘transition’. I quickly had the gas and air I had previously requested handed to me and the midwife began running the pool. This felt like an eternity (20 minutes) and I really thought I was going to deliver the baby on the floor as we waited. When it was run though, getting in the pool was AMAZING and honestly such great pain relief. My contractions changed at this point and felt more like I was really constipated (overshare); they weren’t as intense as the previous ones. I had been told it by other mums before and for me it really did feel like I was trying to poo! 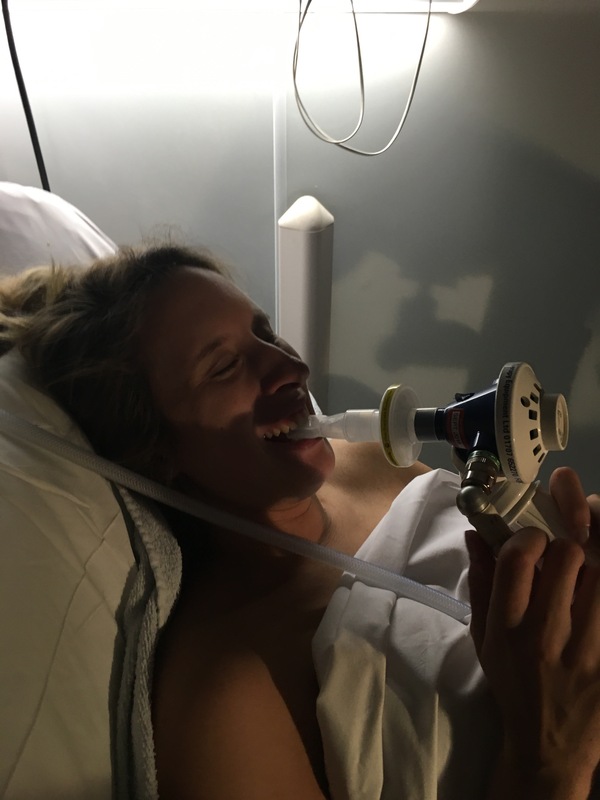 After an hour of breathing (with each contraction – one about every 3 minutes) the midwife said I needed to start actually pushing as they only give you two hours to stop baby getting distressed. 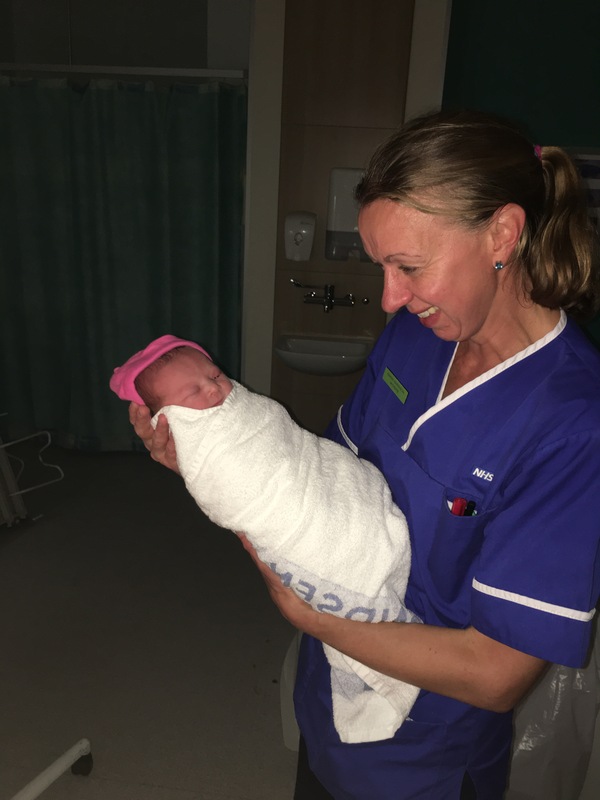 I told the midwife how afraid I was of tearing so she told me to listen to her – and I did – I panted when she said and pushed when she instructed. To me, a few rotations of this and the baby was there. In actual fact, the baby had got stuck and her head was half out for 4 minutes. 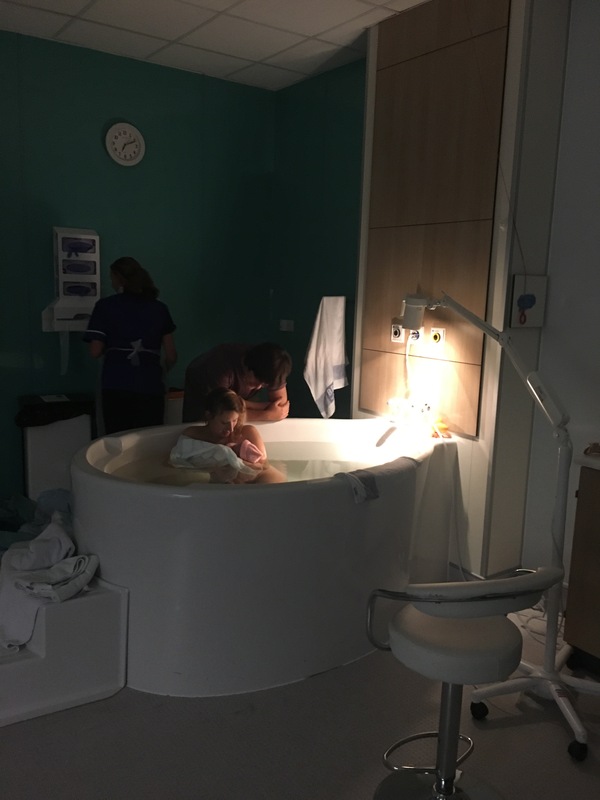 This had triggered the midwife to press a button that had two doctors and a further two midwives to enter the room; I was so in the zone I didn’t notice anyone had even come in. 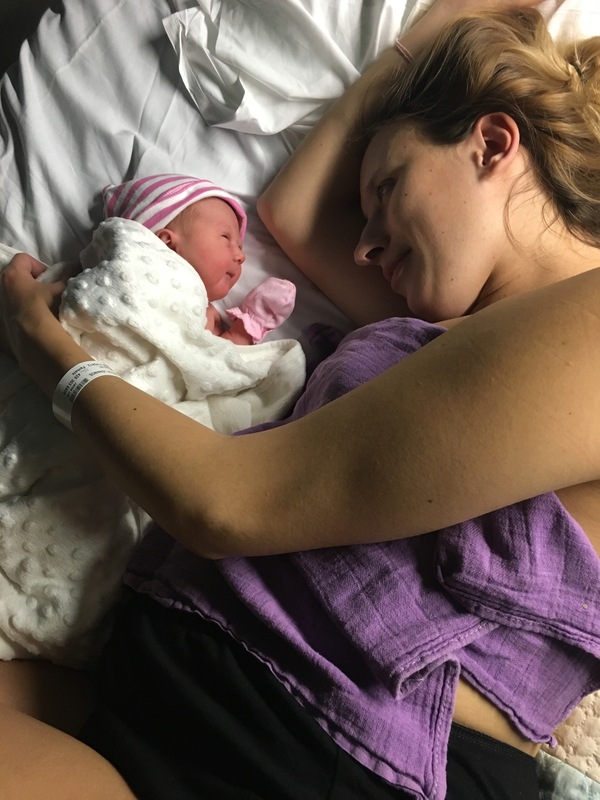 No intervention was needed and baby girl and I worked her way out and I totally believe that this was down to the calmness that hypnobirthing had allowed me to achieve. I did get a second degree tear but that was because little madam had her hand on her face. Trust me to have a drama queen of a child, cupping her cheek upon arrival into the world. The one benefit of this is that whilst being stitched I got to feel the full of effects of gas and air, and let me tell you that is some powerful stuff. Apparently I told my husband that I was a stand up comedian (along with the fetus neck breaking comment, I’ve still not lived that one down). 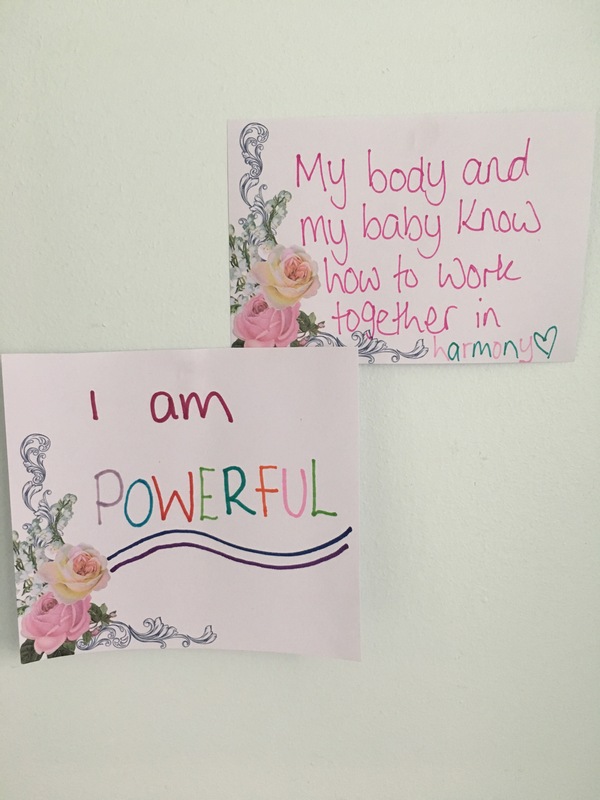 After giving birth I felt so empowered. As women, our bodies do incredible things. And whilst not everyone feels it, and that is totally okay, I did feel a rush of love the second H was handed to me. Staring down at her, I couldn’t believe she was finally here. I had daydreamed so much over what she would look like, and after a scary start to our pregnancy (more on this at a later date!) it was a relief to finally have her here in my arms. 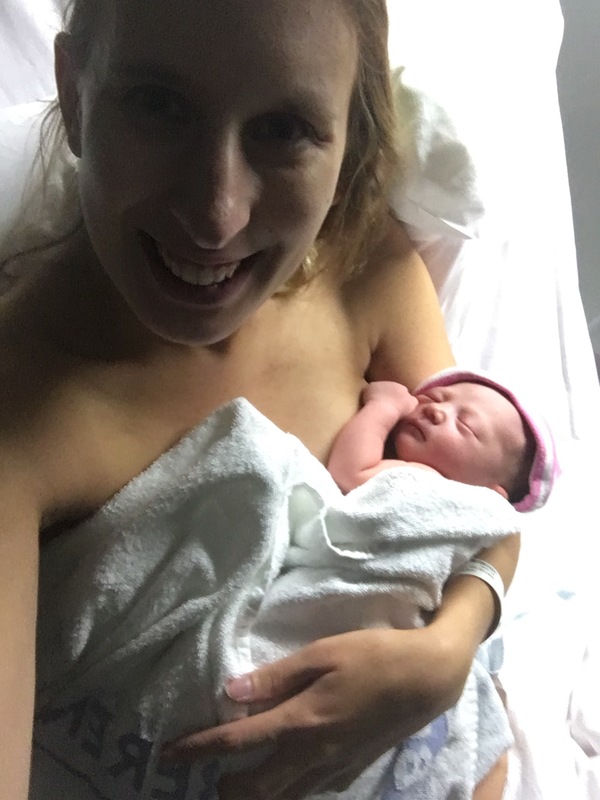 Mamas, if you have given birth (regardless of the way – natural delivery/ Caesarean section/ pain relief/ no pain relief/ water or land) you are a wonder woman. If you are pregnant and reading this, I cannot recommend hypnobirthing enough! It helped me keep calm and made birth a memory I treasure rather than want to repress. I will be doing a more detailed blog on hypnobirthing and the benefits of it, so do watch this space! Bring it on mama, you got this. 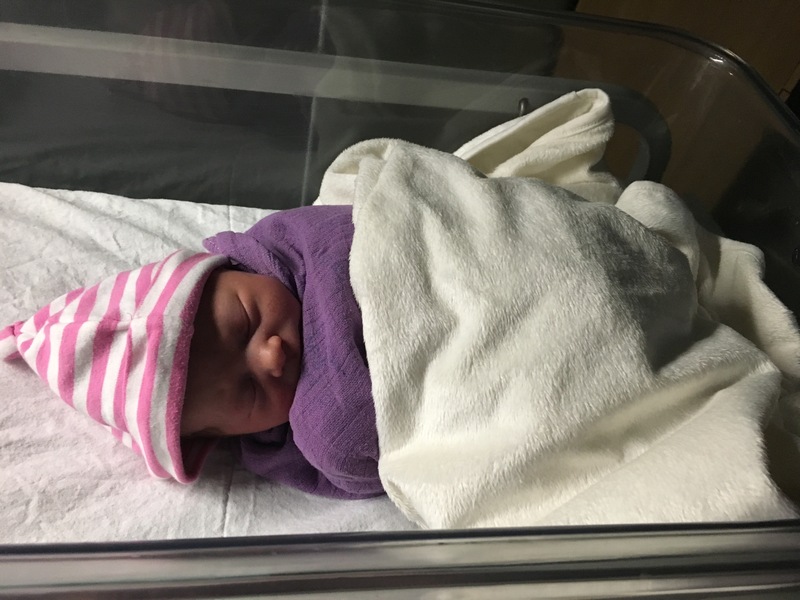 Awww reading your birth story makes me all emotional! Such a different experience to myself, however the outcome is all the same- and what an amazing one it is!!! This makes me want to write mine down somewhere with lots of detail, otherwise I fear I will get old and it will all just become a blur!